Whether your business is just taking off the ground or you’re simply upscaling, you need to have in place some basic understanding of business survival; adequate funding is at the heart of it all. Injecting the necessary capital into your business is a vital tool that every new and established entrepreneur is keenly aware of, but one expert says most businesses fail because there was no sound business plan to serve as a route map for the business journey. Carl Reader, author of The Startup Coach handbook, explains that many businesses today don’t survive or compete well because the owners don’t get their business plan right or approach it the right way. Reader emphasises that the most vital ingredient in a good business plan is honesty, which means being clearly realistic about the market trends and projections, the strengths, weaknesses, opportunities and threats of the business, vis-a-vis the competition. “Almost all businesses underperform compared to plan in the early days. But those that honestly appraise themselves tend to be able to continue trading through any missed targets”, Reader says. Banks generally require sufficient information and an honest review of the business potentials to be able to grant loan requests. 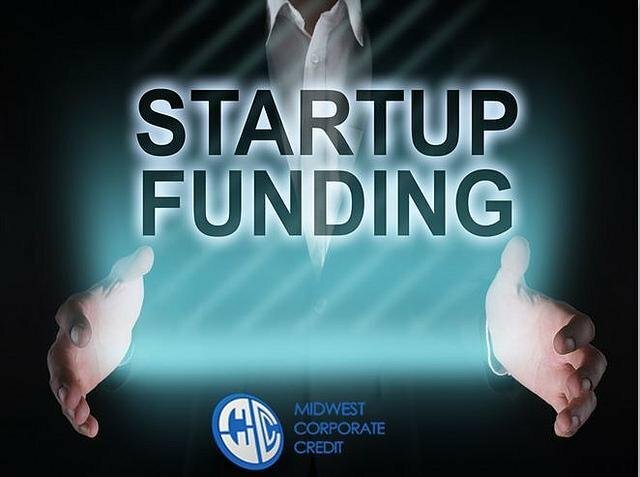 However, besides traditional funding sources (such as banks), there are other creative and more flexible ways to raise capital for that dream project. Crowdfunding lets you raise capital by amassing small amounts of money invested by a large number of people. The various types of crowdfunding include equity, reward, debt, and donation. Equity crowdfunding allows people to invest in your business in exchange for a piece of equity. Meanwhile, debt crowdfunding involves people lending you money which they expect you to pay back with interest. Rewards-based crowdfunding involves people contributing to your business in exchange for a reward (which could be the product you produce), while donation crowdfunding involves those people who donate because they believe in your vision. An added advantage of crowdfunding is that you get to determine how viable your idea is, based on your popularity. Also, you get to build a customer base for your business; customers who care enough about your vision to stake their money in it. Angel investors use their personal, disposable finances to invest in businesses and ideas they believe will succeed; they can be a great source of start-up capital. Typically, an angel investor will have a stake in your business and will take an active interest in the venture, supporting you with their experience and knowledge. The added advantage of angel investors is that they’ll help you grow and offer support in the areas in which you have little or no expertise. With an angel investor, you’re not answerable to yourself alone, as the investor may expect to start seeing returns on an investment in between three and eight years. There are global networking sites such as AngelList that help you find angel investors. Also, there are often a few angel investing networks within a locale, so a quick online search could identify such networks in your area. Business loans work as other loans do; you borrow money from a lender and pay it back with interest. The best part about taking out a loan may be that you don’t have to give up equity in your business. Another advantage is that you would likely have a monthly repayment plan that lets you pay back the loan gradually, over a period of time. This makes it easier for you to plan your finances ahead of time. There are many options available, with many lending institutions offering schemes - particularly for small businesses. It’s also important that you understand your business credit score and how it is calculated. While it’s unlikely that a grant will take care of all the costs of your new business, it’s an awesome source of funds, no matter how little. Every year, the government will take a portion of taxpayers’ money and set it aside for funding new ventures and providing business grants. The money is dispersed to local and national organisations to which entrepreneurs apply. The advantage of a grant is that you wouldn’t have to give up control of your business and won’t have to pay it back. The downside is the long process of applying and determining your eligibility for a grant. Your family and friends could be one of the most reliable sources to obtain funds for your business. They are more likely to support your idea and you won’t have to deal with the painstaking process of getting a grant or wade through terms and conditions from the bank. It’s important to treat your loved ones as you would a formal lender. Draw up a formal agreement in order to prevent any future disagreements and seek legal advice, especially when you’re borrowing huge amounts of money. Show your lenders your business plan and make it clear when and how you intend to pay it back, and whether or not they’ll have a stake in your business. Bootstrapping essentially means you’ll be financing your business using your own money, until other options become available. When you invest your own money in your business, you could enhance the chances of getting funding, as this will let potential investors know how serious you are about your company.